I fell in love with wonderful, wonderful Copenhagen during our Book Club Weekender this autumn. We were there for less than 48 hours, but thanks to some brilliant recommendations and the compact visitor-friendly nature of the city we packed in enough to get a great feel for the place. More than enough to know that I would like to go back again and again. These are the must-do sights and activities I suggest for perfect a whistle-stop tour of the Danish capital. 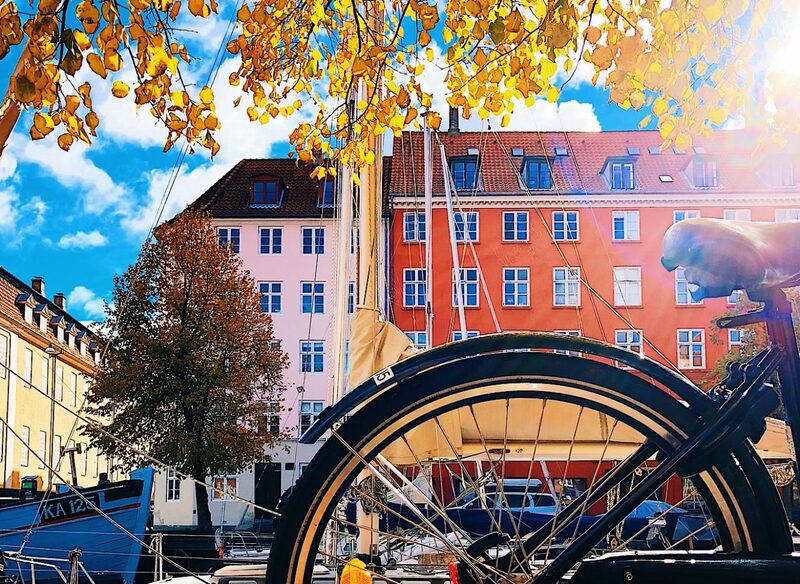 Nyhavn is one of the most iconic spots on the Copenhagen tourist trail. It’s a pretty, colourful waterfront district that dates back to the 17th century. It was once home to the city’s most famous son, Hans Christian Anderson. Now, it’s an entertainment hub lined with bars where you can relax and people watch. And it’s where we discovered the drink of the weekend, the Hugo. Much better and less bitter than an Aperol spritz, Hugo is a simple cocktail of sparkling wine, elderflower, and mint. Highly recommend. After downing a couple of Hugo’s, we joined a boat tour at Nyhavn. It is a fantastic way to see the city, covering lots of ground (water) in a short period of time. 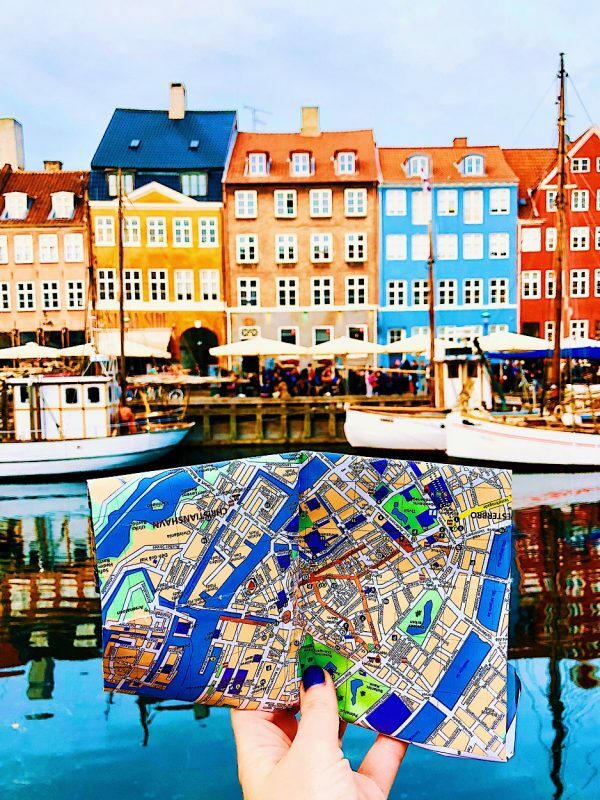 It gives you a feel for the history, size, and geography of Copenhagen. Like everyone in Denmark, the tour guide spoke excellent English. In an hour you take in everything from the Opera House to the Royal residences, Little Mermaid statue and (my favourite) the Amager Bakke energy plant that has a dry ski slope on the roof. Nyhavn for history and people watching, and Hugo! When I asked friends to suggest places to visit in Copenhagen, Louisiana came up again and again. 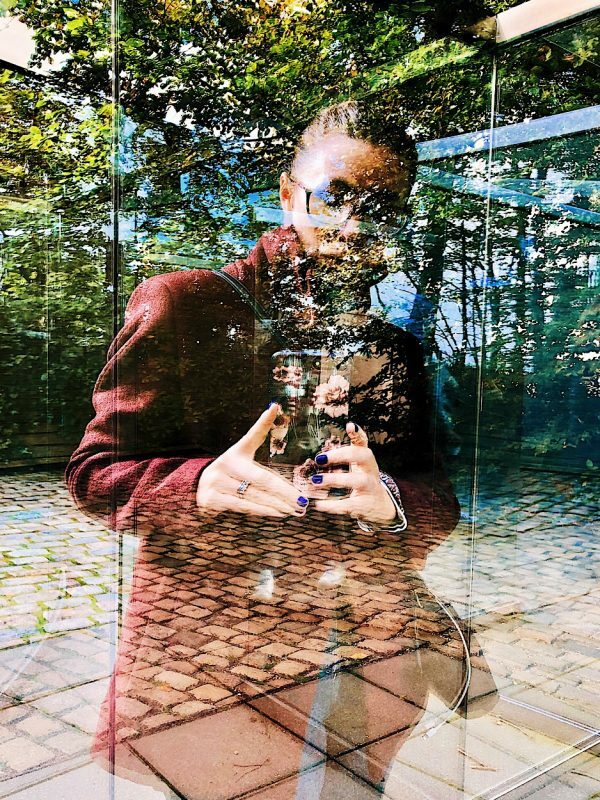 A stunning and internationally renowned museum of modern art, Louisiana is an hour outside of the city by train, but it is worth every minute of the journey. Once there, you will find an amazing collection of modern and contemporary art, innovatively curated and displayed. It’s in a large country house, on a peaceful spot on the coast. Fun fact, it is called Louisiana because the original owner of the estate had three wives – all named Louise. The museum is extremely family friendly, but with a dangerously tempting gift shop. Illum is Demark’s swishest department store. Visit for fashion, beauty, homewares, and design. We bypassed the shopping and popped straight up to the rooftop food hall. 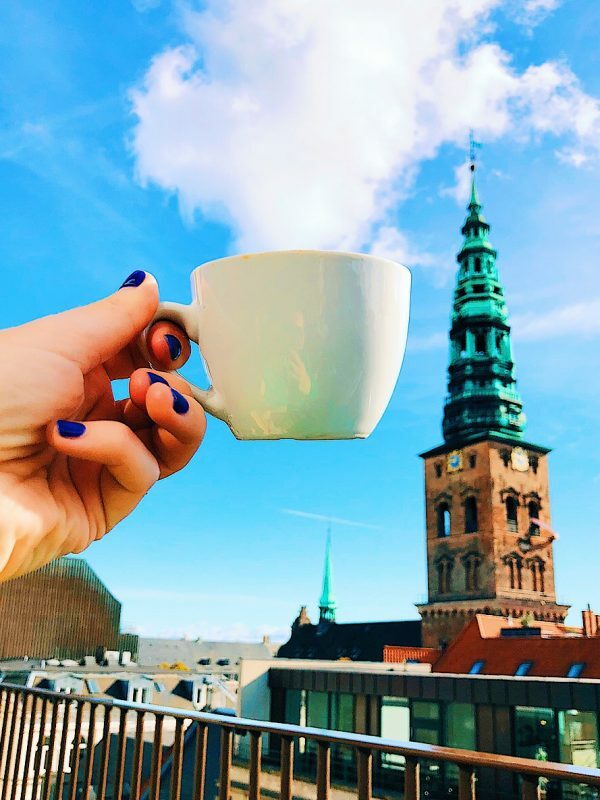 There are plenty of dining options, but if you want to see the main attraction, grab a coffee and find a seat on the balcony to enjoy unrivaled views of the prettiest rooftops in central Copenhagen. Copenhagen is delightfully traffic free and super bike-friendly. 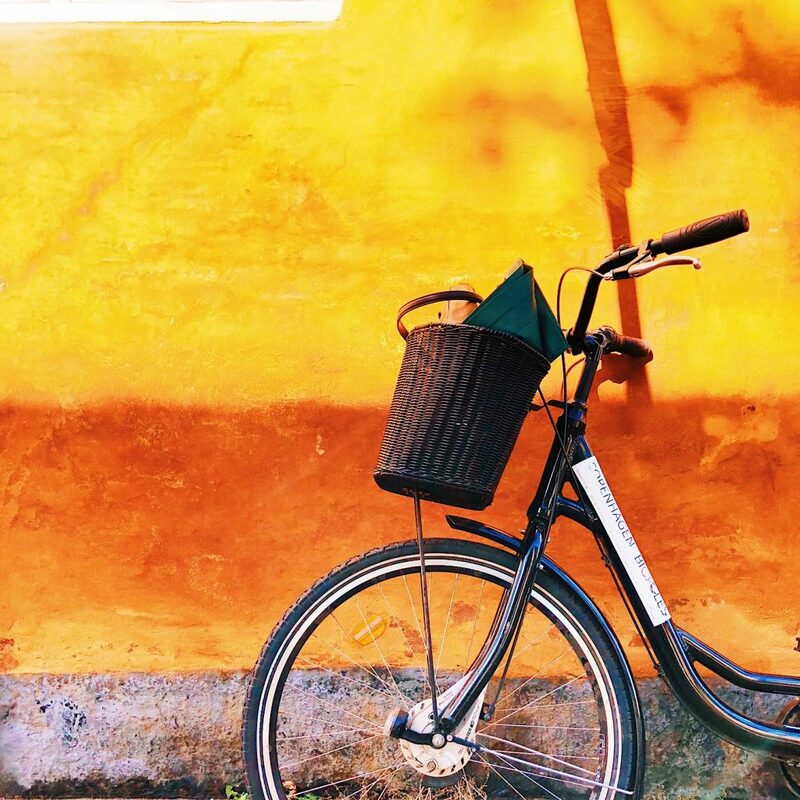 There are rental shops all over the city where you can hire a ride for a few hours and enjoy getting around quickly on the network of cycle paths. 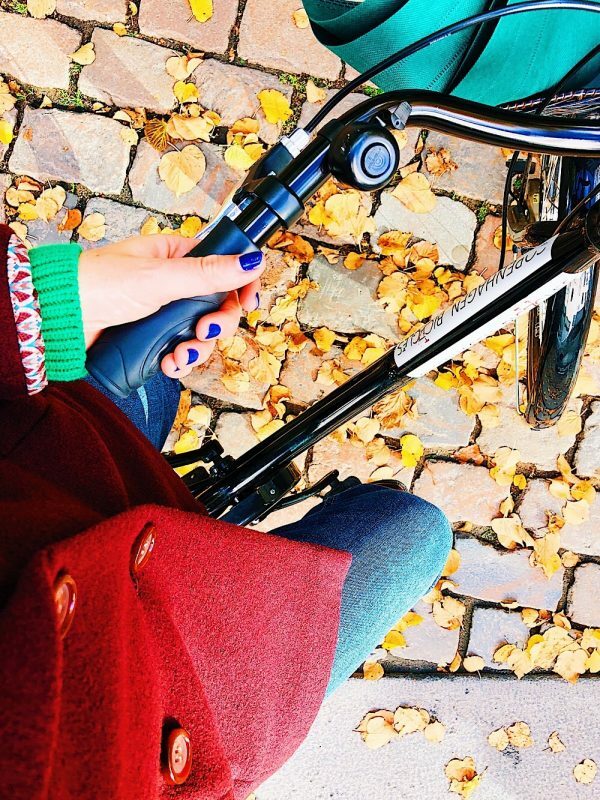 I took a bike out on our last morning to do a quick bit of shopping and explore the pretty residential area of Christianhavn. Great for seeing as much as possible, and getting a feel for how the locals live. 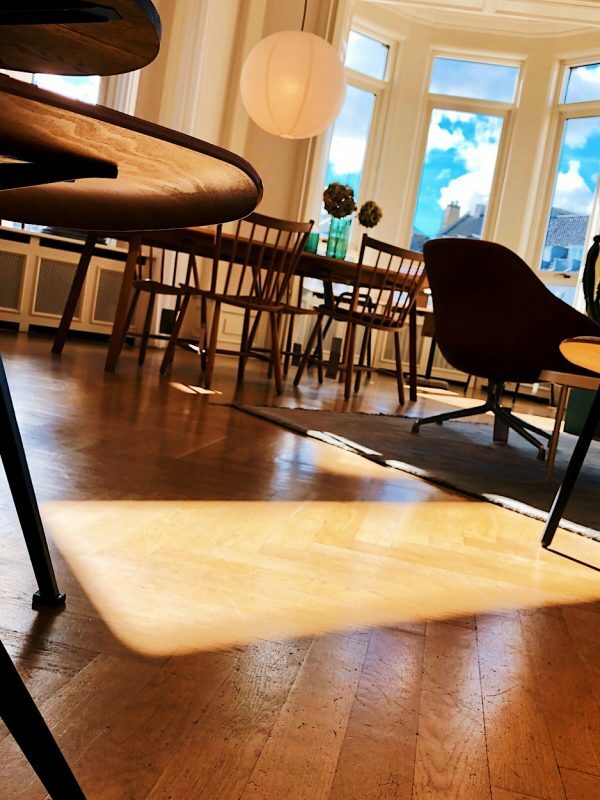 HAY is a beautiful home-style shop located on the 2nd and 3rd floor of a building in Ostergade street in Copenhagen’s central shopping area. Visit to salivate over designer sofas and fantasize about chic apartment living. Bring home sweet affordable stationery and accessories. We stayed at the Copenhagen Strand hotel which is on the waterfront and just a short walk from the bars and bustle of Nyhavn. Expect to burn through your spending money, Copenhagen is an expensive place to entertain yourself. But it is not impossible to find good value bars and restaurants. We ate a brilliant, good value Italian meal at Tony’s (also on the waterfront). Please leave your Copenhagen recommendations below, and suggestions for where you think we should go on our next Book Club Weekender. Click here to read about our brilliant Cornwall holiday.